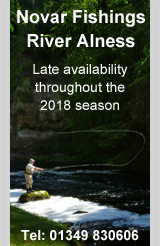 The main horizontal menu along the top of the page is used to display the 8 fishing areas in consecutive order, heading north from Inverness and travelling anti-clockwise along the North Coast 500 route. For clarity, all other pages are accessed either as level 2 pages under the 'General' menu item, or on a secondary horizontal menu located half way down the home page. Map Features This page describes the 10 map layers that make up the NC500 Fishing Map, how to navigate the map and find fishing info using the map pins. Fishing Areas This describes the reasoning behind the division of the Northern Highlands, the area north of Inverness, into 7 fishing areas. Trout Fishing This is an overview of wild brown trout fishing in the Northern Highlands, including permits required, seasons and fishing methods. Trout Tackle Some suggestions for suitable trout fly fishing tackle for the area. Salmon Fishing This is an overview of salmon fishing in the Northern Highlands, including permits required, seasons, fishing methods, regulations and salmon conservation. 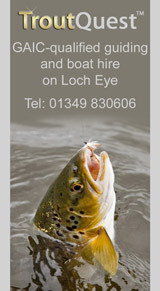 Salmon Tackle Some suggestions for suitable salmon fly fishing tackle for the area. 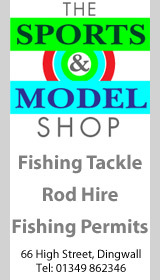 Visitor Guides Visit this page to download our 2 Visitor Guides for fishing in the Northern Highlands and along the NC500 route, in PDF format. Map Updates Updates to the maps and listings, are listed here.